The Trinamul Congress wants nothing less than absolute majority in all four municipalities in the Darjeeling hills to show that it's the only pan-Bengal party. The party that has been in power in the state for the past six years and won the 2011 and 2016 Assembly polls with overwhelming majority is yet to win a single poll in the hills. The hills have always been on the priority list of Trinamul supremo and chief minister Mamata Banerjee, both in terms of politics and development. But even today, the hills and the plains of the Darjeeling district elude Trinamul. That is why, Trinamul insiders said, the upcoming polls to the four hill municipalities are significant for the party. Trinamul wants to prove to its political contenders, including the Gorkha Janmukti Morcha, that the state government's development agenda has done wonders in the hills like in other parts of Bengal and people have shun the demand of separate state. "Darjeeling is the only district where we do not have an MLA or MP. Nor are we in power in any of the five civic bodies or the Siliguri Mahakuma Parishad in the district or the GTA. It is shameful that we could not achieve success here even after being in power in the state for six years," a senior Trinamul leader in Siliguri said. 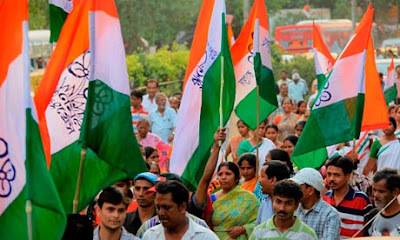 Political observers said if Trinamul could win the four hill civic bodies, the party could move further and consolidate its support base ahead of rural elections and the GTA polls. Also, any political party that is in control of a civic body has the best knowledge of basic aspirations of voters. "Our party chief wants to control all local bodies in the hills. She has time and again referred to it in her public speeches and has sought support from the hill residents. If we win the four municipalities, it would be like a dream coming true," a Trinamul leader based in Kurseong said. That is why the upcoming civic elections hold so much importance for Trinamul in north Bengal. In the eight districts of north Bengal, Trinamul is in power in all six zilla parishads, except Siliguri Mahakuma Parishad where the Left is at the helm. The Siliguri Municipal Corporation is the only civic body that is under the control of the Left Front in north Bengal. The Congress is not power in any of the civic bodies. Trinamul runs 17 of 23 civic bodies in north Bengal. "In case Trinamul succeeds in its effort, it would mean that other than the SMC that is headed by Asok Bhattacharya, the Siliguri MLA, all other civic bodies of north Bengal will be in Trinamul's control," an observer said. In the plains of Darjeeling district, Trinamul has lost back-to-back civic, rural and Assembly polls in the past two years. The elections to the SMC and the SMP would be due in 2020 while the Assembly polls are scheduled for 2021. A Trinamul leader said situation in the plains might become "favourable" for the party if it won in the hills.